at The Pink Event® 2015! Ever feel like there's a voice inside you that expects you to fail at any given task? You're not crazy. Many people have unconscious and conscious behaviors that sabotage them from enjoying a truly fulfilling life. 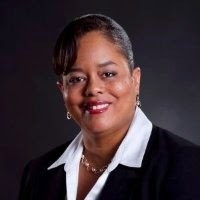 Enter our business guru and coach Carolyn R. Owens. Carolyn is the Chairwoman and CEO of Infinity Coaching, Inc., which provides everything from keynote presentations and organizational training to career coaching. She's one of our motivational and expert speakers at The Pink Event® 2015 (March 8, 12:00 p.m. to 6:00 p.m. at the BWI Airport Marriott in Linthicum). Carolyn (@CarolROwens) took a moment out of her busy day to speak with The Pink Event team about what she'll help attendees learn during her talk. Question: Have you ever participated in our women-focused event before? Answer: I participated in several women-focused events as a speaker and attendee. The Pink Event is by far one of the best I have attended. Question: What will be the focus of your talk? Answer: My talk will focus on "Behaviors that Sabotage Your Life: How Women Don't Take Command." Specifically, how becoming aware of unconscious and conscious behaviors that hold women back from achieving success. Question: What takeaways will attendees have after your speech? Answer: Attendees will understand why this topic is important to ALL women, identify their self-sabotaging voice, and become aware of unconscious behaviors that are impacting their success. They also learn tips and techniques for shifting these patterns and beginning to move forward personally and professionally. Question: Why is it important to have events like The Pink Event for women? Answer: Men and women face different challenges in life, and we are taught to handle them differently. Women are often taught traditional ways of addressing issues that can leave them stuck and not advancing personally or professionally. Events such as The Pink Event are inspirational, raise awareness, and provide educational information as well as a supportive community. Women leave these events empowered and motivated to take steps to create lasting positive change. Are you as psyched to hear Carolyn as we are? Don't wait! Get your ticket for The Pink Event now!! !